+ Amenities include club, gym, games room, party lounge, old folks corner,etc. Standing in the heart of Mumbai's suburbs, Kalpataru Towers is a prime residential property with two 30 storey towers with two levels of podium. A large percentage of the project land dedicated to open green spaces assuring a pollution free and healthy environment. The property offers spacious 2 and 2.5 bedroom apartments with floor sizes varying from 1100 to 1235 sq.ft. This Mumbai property also presents a host of premium lifestyle amenities that includes a two level clubhouse with a gymnasium and multiple pools, Jacuzzi, sauna, party lounge and various others ensuring a lifestyle of the highest standards. 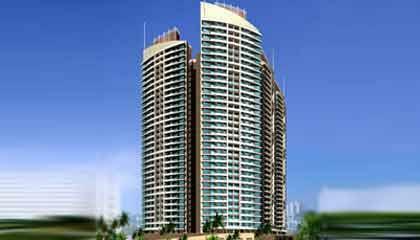 The Mumbai property is located on the Akruli Road adjoining Kalpataru Vatika in Kandivali East. It is very near to Kandivali Railway Station and Western Express Highway and an excellent network of roads connects it to the other parts of the city. Children's Academy School, E.S.I.S Hospital and the bus depot are located in the vicinity.